Birmingham-based Industrial Washing Machines Limited (IWM) was recently approached by Rowe’s Bakers to provide a new cabinet washer. The bakery was in urgent need of a new machine after a factory fire. 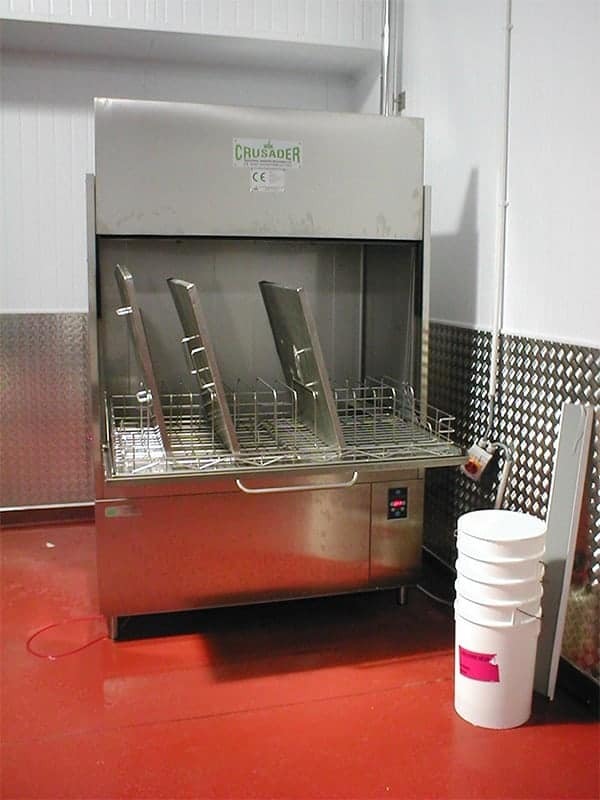 IWM managed to deliver and install the state of the art EDi13 ALTA washer the next day, which helped the Cornish bakery to maintain supplies of Cornish pasties to it’s own shops at the busiest time of the Summer. Established in 1949 by Bill Rowe, Rowe’s Cornish Bakers is a family run business, famous across the South West of England. Rowe’s needed to relocate production temporarily, and a new washer was required to enable high risk / low risk segregation, to ultimately get back up and running as soon as possible. The company contacted IWM in hope that they will be able to offer a fast solution to their problem. “We needed a machine to wash and clean the containers and utensils we use for our baked goods – and we needed it fast”, explained Maurice Matthews, Rowe’s Technical Manager. “We were well aware that it was a lot to ask from any supplier – to deliver and install the machine in a day or so. But the IWM team somehow did it and exceeded our expectations. Without the EDi washer we would have been unable to resume production at our other bakery facility in under 7 days”, he concluded. The EDi13 ALTA is a solid, user-friendly and reliable washing machine that, thanks to a new electronic system, can optimise and simplify work for operators in the bakery sector. The machine benefits from two 2350 W wash pumps, a 600 W rinse pump and a rinse aid dispenser fitted as standard. Despite its impressive power, the EDi can clean an entire cycle with just 8 L of water, saving the user money and also electricity. The wash cycle can last from two to ten minutes, depending on individual preferences. Designed with safety in mind, the digital display advises of correct functioning of cycle, temperature and tank filling. A low-voltage electronic control (12 V) is integrated to minimise danger during maintenance and repair work. Furthermore, the keyboard and display panel splash-proof with IP67 protection. If you would like some more information on our services and Industrial Washing Machines, do not hesitate to get in touch and speak to our friendly experienced team.